Fellowship & Easter morning treats 9:30 a.m.
Toddler Nursery Care through age 3 is provided throughout the worship service if you would like to make use of it. The nursery is located in room 3, adjacent to the foyer. Spring Church Work Day ~ This Saturday, 9 am. We have a lot of clean up that needs to be done. Come and help spruce up our church and have a fun time working together all at the same time. BEAVER CAMP NEWS: The are registration forms for our annual Beaver Camp weekend are out, there are extras by the mailboxes. If you have any questions please see Denise Kipfer. All forms are due back to Denise by May 12th. Also, Denise is handling the registration but needs help with planning the schedule and activities for the weekend. If you are interested in helping, please talk to her ASAP. Registration for Beaver Camp is now open! Adult Sunday School 11:00 a.m.
Good Friday Service; We will be sharing a Good Friday Service with our friends from Grace in Community Church here at AMC at 7pm. 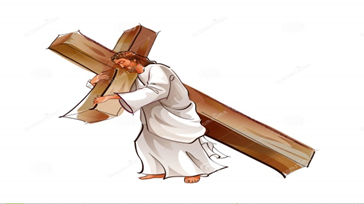 GOOD FRIDAY CROSS WALK – Join us as we participate in the annual Good Friday Cross Walk. This 2-hour event will take place on: Friday, April 19, 2019 10:30 a.m. starting at: Lancaster Presbyterian Church 5461 Broadway, Lancaster, NY During the walk, there will be 15 stops during which scriptures will be read, with a short time for individuals to share thoughts and insights. All are welcome! 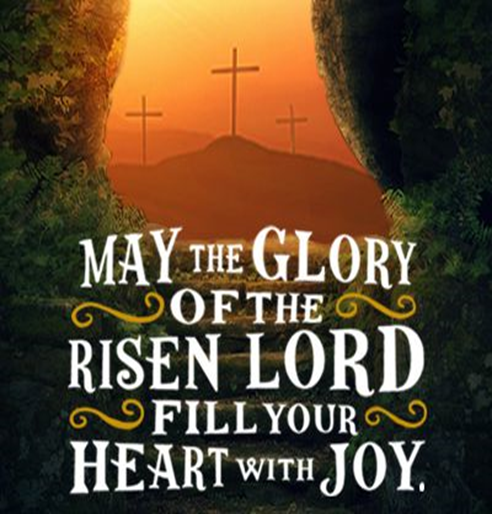 Easter Morning Fellowship with coffee and goodies from 9:30 to 10 am, we will then join in worship together and a short message. 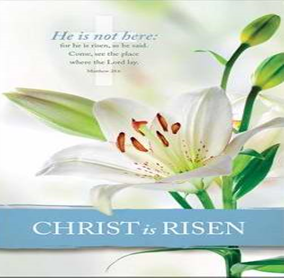 Come let us rejoice together in the Risen King. Spring Church Work Day ~ Sat. April 27th at 9 am. We have a lot of clean up that needs to be done. Come and help spruce up our church and have a fun time working together all at the same time. Lynn will be away on vacation April 14-22. If by chance there are announcements that need to go into bulletin while I’m gone, please contact Emma Kipfer. WhyLifeMinistry along with Grace in Community is offering you an exciting opportunity. They would like to encourage you to see the movie “Unplanned” and take a friend with you, and if you do they will buy your friends ticket. That’s right; for every 2 tickets turned in the cost of 1 will be reimbursed to you! (up to the first 50 tickets) Any questions see Lynn Roll or call 937-7815. May God be gracious to us and bless us and make his face shine upon us, that your ways may be known on earth, your salvation among all nations. May the peoples praise you, O God; may all the peoples praise you (PS. 67: 1-3). We are a body of believers who put our trust in all-knowing and ever-present God. We know that Jesus loves us and faithfully works in our lives. Let us worship and have fellowship together this morning. Lynn will be away on vacation April 14-22. 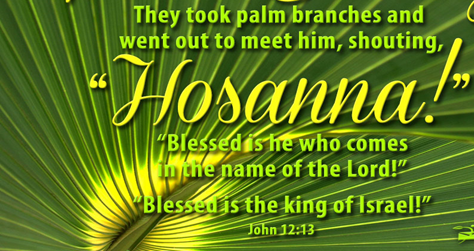 If you could get any announcements you will need in the Easter Sunday bulletin to her by 4/11. If by chance there are announcements that need to go into bulletin while I’m gone, please contact Emma Kipfer. Sandi Meyers, Pastor Dale’s mom recently had back surgery. She is now home recovering. If anyone would like to send her a card her address is; 196 Dersam Rd., Alden, NY 14004. Please keep Sandi in your prayers. You were greeted this morning by Brian & Pam Millar. They also provided the flowers. Please return return your affrimation ballot to Kevin Kipfer’s mailbox by Sunday March 31st. Thank You. So do not fear, for I am with you; do not be dismayed, for I am your God. I will strengthen you and help you; I will uphold you with my righteous right hand (Isaiah 41:10). Let these words of assurance from our Heavenly Father encourage and comfort your heart today regardless of what you are facing this week. Choose to rest in Him. The good news is that Christ reconciles us to the Father through his blood shed for us in order that we may be made holy and be in right relationship with Him. Let us put our trust in Him, praise Him and surrender our lives to Him more fully today. You were greeted this morning by Kevin and Denise Kipfer and family. Please get your Directory Updates In! You can do this by emailing amcsecretary1924@gmail.com or by filling out an update sheet (available near the mailboxes) and leave it in Lynn’s mailbox. Youth Missions Opportunities; Youth ages 15-22 can join a team of peers to explore and engage in the movement of God in Peru, Benin, and Indonesia through Youth Venture. Openings are still available for trips in July. To learn more, check out MennoniteMission.Net/YouthVenture, or contact Lauren at 574-523-3022. Hurry! Application deadline is April 1. Choose for yourselves this day whom you will serve…But as for me and my household, we will serve the Lord (Joshua 24:15). 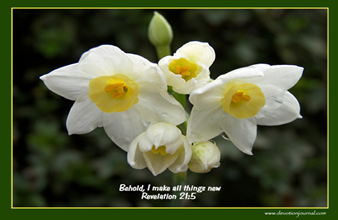 With a new year upon us, it is a good time to affirm once again our desire to be a follower of Jesus or perhaps decide to do so for the first time. The good news is that Christ reconciles us to the Father through his blood shed for us in order that we may be made holy and be in right relationship with Him. Let us put our trust in Him, praise Him and surrender our lives to Him more fully today. week. Please help if possible. Thank You! your upcoming nuptials and marriage. The couple is planning a July wedding. leave it in her mailbox. Thank you for your help in keeping things up to date. mailboxes. Beaver Camp is celebrating 50 years! Thank you Joe Baer for the beautiful new lights you put up on the front of the church. the Father through his blood shed for us in order that we may be made holy and be in right relationship with Him. Let us put our trust in Him, Praise Him and surrender our lives to Him more fully today. serving the Lord for over 25 years now and has beenthe lead Pastor for GIC for 10 of those years. rescheduled for Wednesday, Feb. 27th at 6:30 pm. Weekly Greeters and Offertory flowers are NEEDED. There is a sign-up sheet right outside the sanctuary, please help out if you can. please remember to turn them off when finished. Thursday March 14th @ 7pm. Doors open at 6:30pm. those friends were there to pick me up. put together and on the delicious meal afterward. that he was able to spend his final years on earth in our church with so many loving people. place. Your dedication is amazing. our lives to Him more fully today. provided for ages 3 to 6th grade and begins after our worship time just before the sermon. Talk to Kevin for info and to add your name to the list of those going. in your mail box, please bring it to the meeting. NEEDED. There is a sign-up sheet right outside the sanctuary, please help out if you can. on the bulletin board in the foyer for you to take a look at. you are facing this week. Choose to rest in Him. snack to share for a time of fellowship. (amcsecretary1924@gmail.com) by February 4th. Thank you. promises good things to those who love Him. to make use of it. The nursery is located in room 3, adjacent to the foyer. Buffalo’s “City Life”, YFC. Rod has been leading the ministry for more than 10 years now. giving the ministry the ability to grow in the Lord. fun evening and cheer on the kids! Lynn by Friday morning each week. Thank you. share for a time of fellowship. Business will begin at 7:00. Please bring the copy of the annual report you received in your mail box. Thank you. please remember to turn them off when finished. Thank you. Mark your calendars; Clarence Center Akron Mennonite Church is having a Bluegrass Concert on Thursday March 14th @ 7pm. Doors open at 6:30pm. regardless of what you are facing this week. that Christ reconciles us to the Father through his blood shed for us in order that we may be made holy and be in right relationship with Him. Let us put our trust in Him, praise Him and surrender our lives to Him more fully today. before the sermon. Parents of children 3rd grade and under should pick up their children directly from their classroom. You were greeted this morning by Pat & Carol Murphy. Pat & Carol also provided the flowers this morning. Thank you for the cards and prayers during my recent fall and health issues. It means so much to me to have such a caring church family. God Bless You All. Love your sister in Christ, Marlene Our Annual Members Meeting will be held on Feb.13th. Please come at 6:30 and bring a small snack to share for a time of fellowship. Business will begin at 7:00. Those who need to write reports please email them to Lynn (amcsecretary1924@gmail.com) by February 4th. Thank you. Big thanks from all the Everetts for the well wishes and the many prayers that helped us get through Bill’s recent hospital stay and nursing facility placement. Community Church to serve at Hope of Life. should pick up their children directly from their classroom. This day I call heaven and earth as witnesses against you that I have set before your life and death, blessings and curses. job descriptions in their mailboxes. pray as we are discerning whom God has prepared tofill this important role. give us wisdom, as we seek and ask for it. Thank you for the cards and prayers during my recent fall and health issues. It means so much to me to have such a caring church family. God Bless You All. Fellowship Meal on Sun 1/27 – If each family could bring 2 large dishes to share for this potluck it would be greatly appreciated. Mennonite Conference will be bring us the message. by February 4th. Thank you. Choose for yourselves this day whom you will serve…But as for me and my household, we will serve the Lord (Joshua 24: 15) With a new year upon us, it is a good time to affirm once again our desire to be a follower of Jesus or perhaps decide to do so for the first time. The good news is that Christ reconciles us to the Father through his blood shed for us in order that we may be made holy and be in right relationship with Him. Let us put our trust in Him, praise Him and surrender our lives to Him more fully today. their children directly from their classroom. could bring 2 large dishes to share for this potluck it would be greatly appreciated. “Leaders that Lead Well” adult Bible study is Tue. @ 6:30 pm. This class is about becoming leaders that lead well for God’s glory. What is a leader? Without leaders that lead and point others in the right direction we will never do well what God has called us to do. Everyone is welcome, and bring a friend! snack to share for a time of fellowship. Businesswill begin at 7:00. Those who need to write reports please email them to Lynn (amcsecretary1924@gmail.com) by February 4th. Thank you. Final Days for Pennies for Hope – You are welcome to donate your loose change to the large jug in the foyer to be used for special needs at Hope of Life, such as food bags or school supplies. Let’s make a “change” in Guatemala! There is a new Greeter and Flower Schedule Sign-up Sheet out for the next couple months. If you could help out in this way and bless your church and church family, it would be greatly appreciated. The 2019 monthly Birthday snack sign-up sheet is also out and ready for you to volunteer to help make our fellowship time extra special.